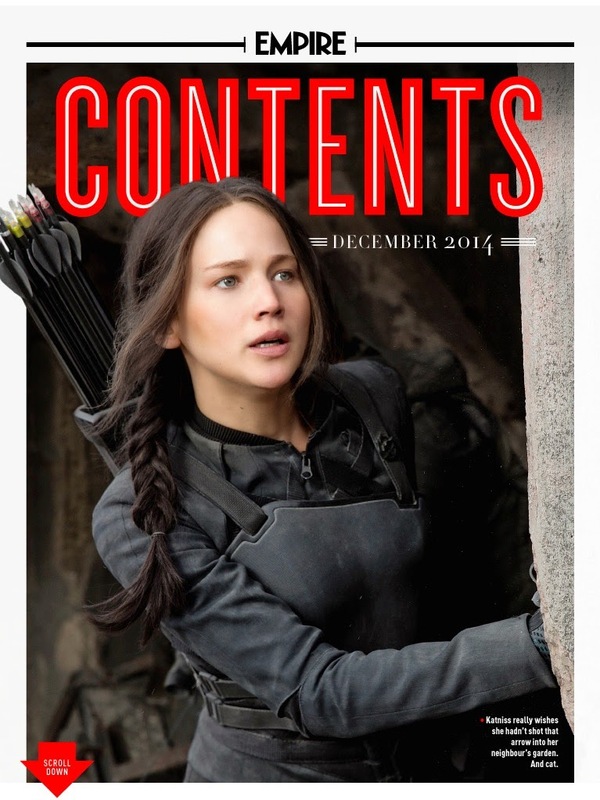 Today, the December issue of Empire Magazine has been released, featuring a fantastic cover and in-depth feature on Mockingjay - Part 1. 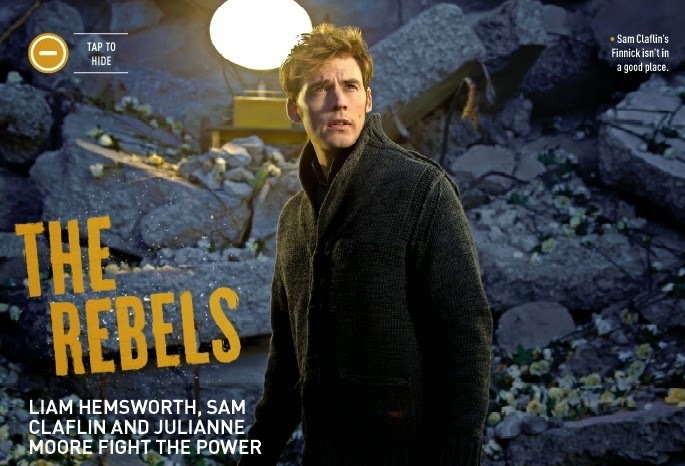 With the issue comes a set of new stills (thanks to Panem Propaganda) - check them out below along with a selection of quotes from the feature! "Evil? I don't think Snow is evil," [...] "He's an oligarch," insists Sutherland, who in person has the same magnetic elegance of Snow, if not the suggestion that he might at any second stab you in the eye. "Lyndon Johnson didn't think he was evil. He's a war criminal. Putin absolutely doesn't think he's evil. Nobody thinks they're evil." "I think some people will read the last book as bleak, and I don't necessarily. 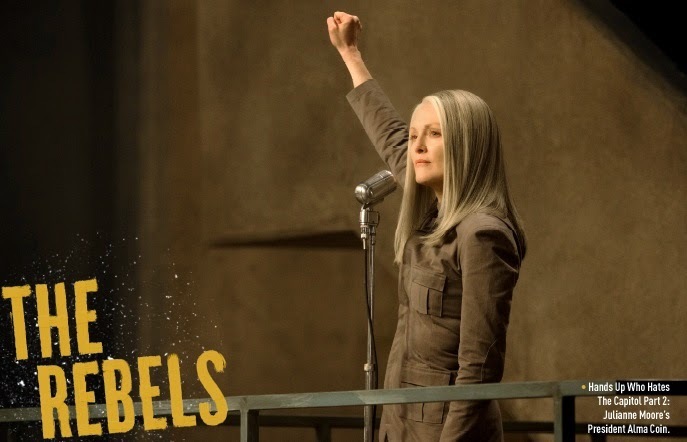 I think it's tough, but it's not bleak," says Jennifer Lawrence's director, Francis Lawrence, who returns from Catching Fire to helm both Mockingjay movies. "With Part 1, which we're saying is most of the first half of the book, we're dealing with the propaganda war. 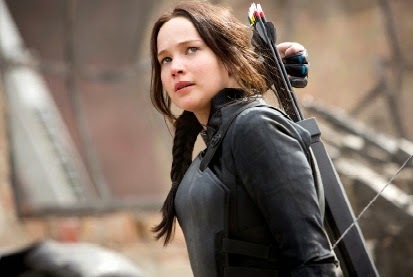 This is the beginning of using Katniss as the Mockingjay, as a symbol for rebellion." 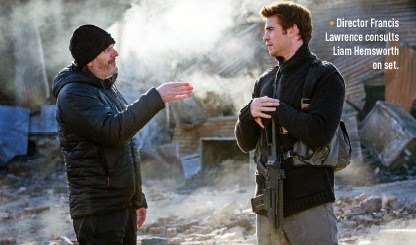 There were rumours online that Hoffman would be digitally recreated to complete his scenes, something which Francis Lawrence insists was never considered, "He had two substantial scenes left and the rest were appearances in other scenes," he says. "We had no intention of trying to fake a performance, so we adjusted those scenes to give to other actors. For the rest we just didn't have him appear in those scenes. There's no digital manipulation or CG fabrication of any kind." 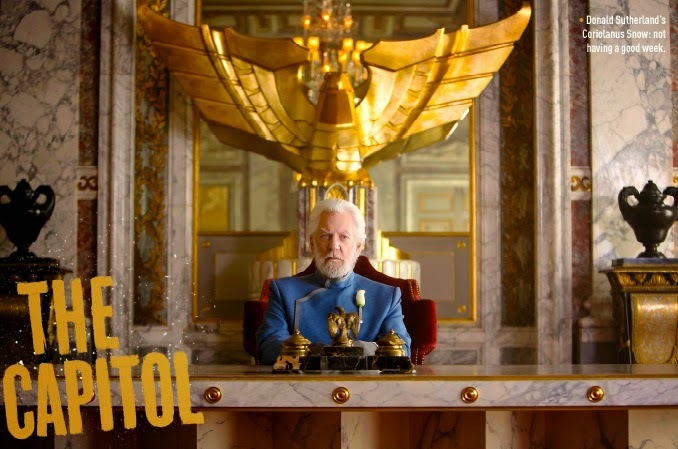 It's not entirely true that the Hunger Games production is complete. There is, Lawrence lets slip, one last scene to complete for the very end of the series, possibly featuring her nephews in roles we won't spoil. 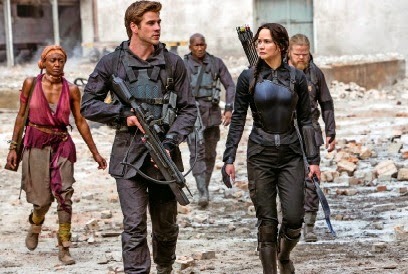 But after that, the saga of Katniss will be at an end. Pick up the latest issue of Empire on UK newsstands and app stores today for more!